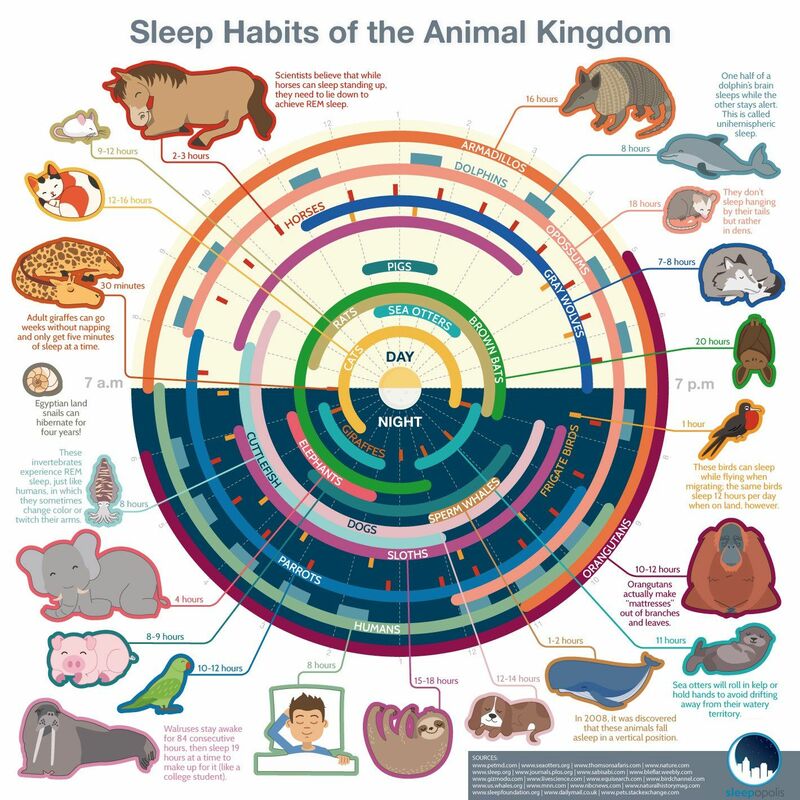 Sleep Habits of the Animal Kingdom #Infographic ~ Visualistan '+g+"
Nature is amazing. And even though we know so much about it, there are still so many surprising and unusual things around us. All animal creatures have to sleep. By being awake we all, from the smallest one to the biggest ones spend energy. And while we sleep we get rest and recover. What's interesting here is that smaller creature apparently need a lot longer hours of sleep than larger animals. For example, elephants sleep only 4 hours a day, whales – from 1 to 2, and giraffes even less than that! At the same time opossums and cats sleep two thirds of the day, or even more! 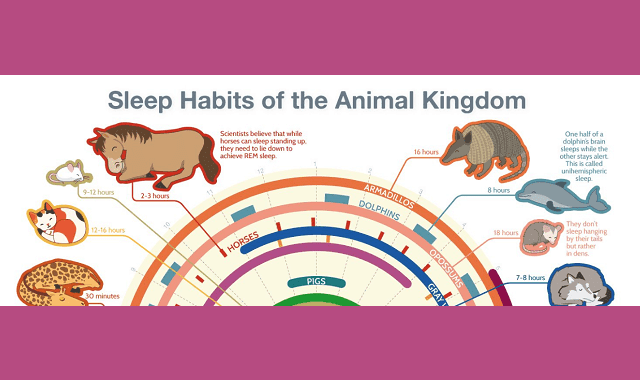 This graphic divides animals into day and night time sleeper, while some of them occupy a big chunk of both, e.g., like armadillos. And only walruses stand out of the group because they stay awake for 84 consecutive hours, and then sleep for 19 hours at a time.